A collection of music featuring acoustic instruments as the main instruments. You will find acoustic guitars, folk guitars, saxophones, trumpets, clarinets, double basses, ukuleles, banjos, ouds, percussion instruments of all types, etc. Royalty free acoustic music using a kora, violin, viola, tuba, acoustic piano, bass and percussion. Royalty Free acoustic Music featuring piano, clean electric guitars, drums, bass and saxophone. Joy, lightness, peace, travel,..
Percussion, trumpet, folk guitars, bass and sound effects. Positive mood, nature, travel, purity,..
Royalty Free Music featuring piano, bass, drums, percussion and clean guitar. 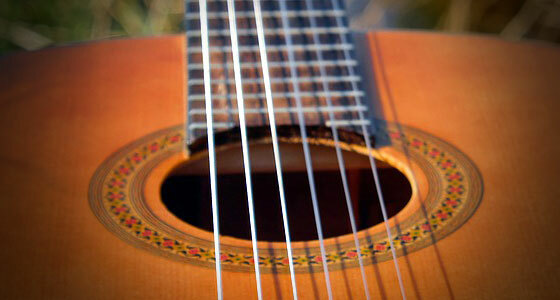 Latino, gentleness, peace, evening bossa nova..
Music featuring several instruments and children's toys. toys, child, innocence, purity..
Brass and fanfare piece featuring trumpet, trombone, tuba, drums and banjo. Party, travel, passion, joy..
Music with shakers. drums, bass, xylophone, trombone, bassoon and violin. Syncopated rhythm. Latin feel, jazz, evening,..
Royalty-free acoustic music featuring acoustic guitars, drums and percussion. Africa, softness, serenity, mystical, journey,.. Original composition with piano, trumpet, trombone, tuba, drums, saxophones, guitars and acoustic bass. Fanfare, Africa, air, positive, research, reflection, Travel,..
Music with piano toy, xylophone, bass and drums. Toys, child, innocence, purity, nostalgia..
Royalty Free Music featuring piano, drums, bass, violin and viola. Waltz, light, nostalgia, peace, travel,..
Royalty-Free music with folk and bass guitars. Positive mood, jazz, gypsy, nature, travel, purity,..
Royalty Free acoustic Music with accordion, piano, bass, drums, percussion. Bal musette, gentleness, peace, evening, waltz..
Reggae music with electric guitars, drums, bass and horn section. Reggae, friendship, reunion, cool..
Use the mp3 player to listen to the royalty free music for YouTube. You may listen to the full version. In order to download the selected title, click on the green 'DOWNLOAD' button and save the file to your computer or tablet. The downloaded file is a full version of the music in high resolution mp3 format. You may therefore try the music in the contest of your project before purchasing your license. In order to purchase your license, click on the 'Buy License' button and you will be asked to provide the necessary information to establish a license agreement. You will then be redirected and asked to choose your method of payment. As soon as your payment has been confirmed, you will receive the copyright notice, the license agreement and the links to the uncompressed WAV version of the selected music.